December engagements are truly magical. We can see why they call it “the most wonderful time of the year”. 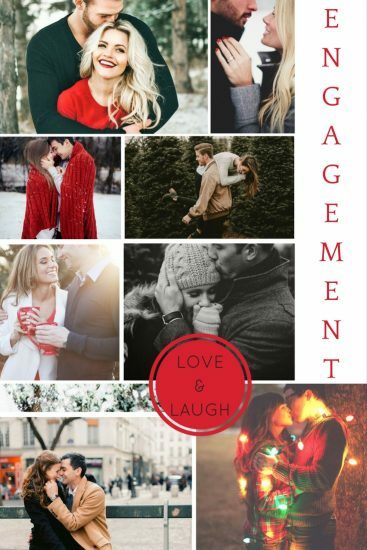 There are so many engagement shoot options available to the December couple, but here are just a few of our favourite elements. You have so many festive locations available to you because everywhere looks beautiful at this time of year. If your couple lives in the centre of a city you could search out some festive events that you think would make a good photo location; some examples might include Christmas markets, ice skating, or simply walking amongst the brightly lit streets. Alternatively, if the lovebirds live in a more rural location you might be able to visit a Christmas tree farm for a bit of festive fun, or perhaps just a romantic stroll through a wintery woodland would do the trick. This is really the only month when you have the opportunity to use as many festive colours and props as you want. If you are a Christmas nerd then you could go the whole hog with Christmas jumpers, lights and crockery galore. If you prefer a more glamorous Christmas theme then perhaps a knockout outfit in a festive colour is the way to go. Or equally, if you don’t want too much of the Christmas theme going on but still want a bit of the seasonal magic, perhaps just a festive makeup product is for you. Without a doubt, December is a month that cannot be beaten in terms of emotion. It is a time filled with love, laughter and goodwill – call it festive spirit, Christmas magic or just being stuck inside with your loved ones whether you like it or not. So what better time is there for an engagement shoot?